The Mi 7 may not launch this month at the Mobile World Congress (MWC) 2018, if rumours are to be believed as Xiaomi is bringing its Mi MIX 2s to the mega expo. However, the waiting isn't expected to be too long either as the Mi 7 is expected to be unveiled in April or May this year. 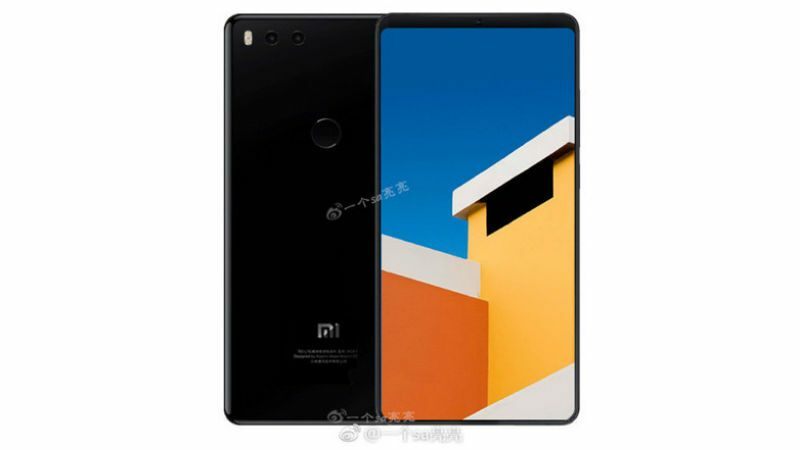 Now, new leaks have revealed the likely specifications of the upcoming Mi 7, showing hardware that has become the standard for flagship models. The Xiaomi flagship will compete against the upcoming models such as Samsung Galaxy S9 and Nokia 9, as well as the likes of iPhone X and OnePlus 5T. A screenshot that lists most hardware specifications of the Xiaomi Mi 7 has been outed by PlayfulDroid. The leaked screenshot suggests the flagship phone will feature the latest Qualcomm Snapdragon 845 SoC, 8GB of RAM, 128GB of inbuilt storage, and a dual 16-megapixel camera setup. A variant with 6GB RAM, 64GB storage could also be launched as the base model. Apart from that, we can expect this phone to sport a 5.65-inch full-HD+ (1080x2160 pixels) display with an 18:9 aspect ratio. Additionally, the Mi 7 might come with a 4480mAh battery under the hood. This is especially suspicious considering Xiaomi is unlikely to give battery capacity this big a bump with the Mi 6 sporting a 3350mAh battery. Also, previous reports have suggested the presence of a 6-inch full-HD+ display, instead of the mentioned 5.65-inch variant. The screenshot reveals that the phone is running MIUI 9 Developer ROM version 8.1.30, although it could be launched with the latest stable version of MIUI 9. Xiaomi, back in December, had stated that the Mi 7 would be the first phone to be powered by the Snapdragon 845 SoC. Plans, however, may have changed since as the Mi MIX 2s looks to become the first phone to achieve this feat. Reports also suggest the Xiaomi Mi 7 will feature face unlock technology.